Despite less than expected pace of growth in the domestic sector, Belagavi airport has witnessed commendable growth in flight movement of non-scheduled small-size charter planes. The Hindu in an article has elaborated the growth in the movement of Small charter planes from Belagavi’s Sambra Airport. A “B” category airport, it is maintained by the Airports Authority of India (AAI) and is perhaps third only to Bengaluru’s Kempegowda International Airport and Mangaluru International Airport to record highest number of such schedules in the State. The year 2016 (from January 1 to December 31) witnessed as many as 60 private airlines/operators landing/taking off from Belagavi airport. A total of 217 arrivals and 219 departures (totally 436) wherein a total of 648 passengers from different parts of the country and abroad, State and Central government services, defence, and political parties embarked and disembarked from these non-scheduled planes here during the same period. These movements, essentially by smaller aircrafts owned by private airlines/operators, recorded a growth of at least 30% over the preceding year 2015. Officials observed that the growing number of flight movements was an indication of the growth prospect of not only the airport but also of Belagavi’s economy. Further, recognising the growth potential, AAI has already taken up expansion works at the airport at an estimated cost of ₹140 crore. The runway was being extended from the present 1,830 m to 2,300 m to facilitate landing of Airbus A320s and is expected to be commissioned in a couple of months. 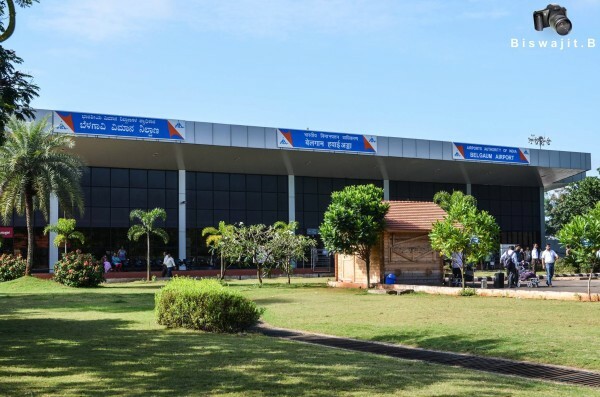 The delay was owing to shifting of the road passing inside and along the compound wall of the airport, a subject of concern which Suresh C. Angadi, MP, wants to be resolved by the district administration at the earliest. Also, work on a new 100-passenger capacity terminal building with apron space for three Airbus A320s is under progress and is expected to be ready by September or October this year, sources said.